The lawyers of Goldman, Babboni Fernandez & Walsh have more than 100 years of combined Florida legal experience in personal injury, wrongful death and negligence cases. 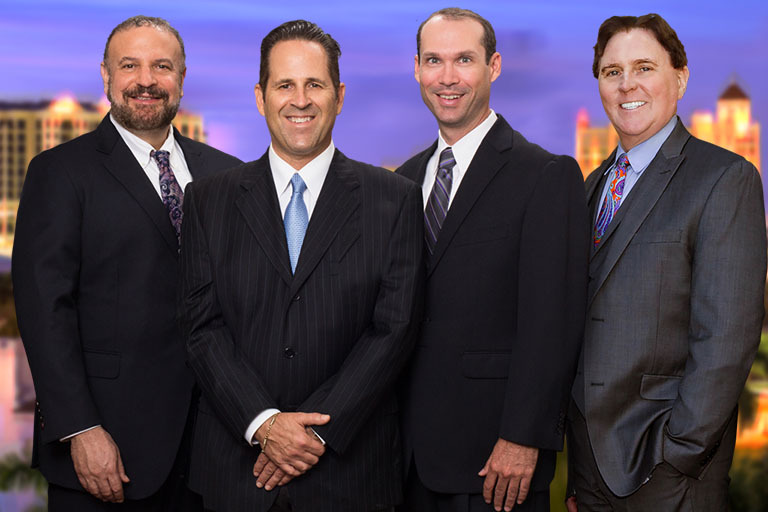 M. David Shapiro, David Goldman, and Michael Babboni have each represented accident victims throughout Florida for over twenty years. Bernard Walsh has been a Florida lawyer for more than three decades, and has over a quarter-century of experience in personal injury law. Our partners have handled more than 10,000 non-fatal and fatal personal injury cases, where death or brain, head, neck, back, spinal cord, shoulder and knee injuries have resulted from car, truck, motorcycle or boat accidents. At Goldman, Babboni and Walsh one of our experienced lawyers will be personally committed to winning your personal injury, wrongful death or accident injury case. It costs you nothing for more than 100 years of combined years of service. Exceptionally experienced and highly trained lawyers using state-of-the-art technologies to educate insurance companies and juries as to the value of our clients claims. Expert professionals support our clients’ cases. These specialists include the best forensic engineers, accident reconstructionists, vocational rehabilitative counselors, economists and toxicologists. We also consult a number of physician specialists whose practice concentrates on the injuries of an individual client. Our firm has lifelong memberships to some of the most prestigious legal and community organizations. Attorneys at Shapiro, Goldman, Babboni and Walsh are active and deeply involved in the communities of Bradenton, Sarasota, St. Petersburg, Punta Gorda, Lakeland, Tampa, Venice, Fort Myers, and Englewood. Offices in all areas of Southwest Florida to serve our clients including Sarasota, Bradenton, St. Petersburg,Venice, Tampa, Port Charlotte, Englewood, Punta Gorda, Arcadia, Lakeland, and Fort Myers.